Planning to visit St. Lucia anytime soon? Not sure what to do? 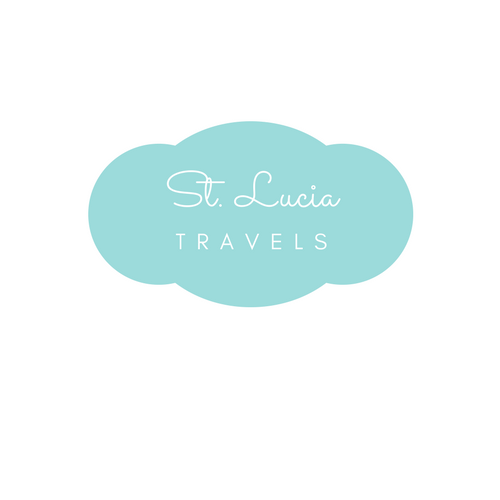 They are so many things to see and do once you get to St Lucia but we wanted to make it all easy for you. We compiled a list of the top 10 amazing attractions to see in St Lucia and for you to enjoy your vacation. Before we get started, we wanted to tell you that St Lucia is one of the most beautiful countries in the Caribbean, trust us. The Pitons can definitely be seen from up above before landing in St Lucia. The two volcano like mountains takes up most of the land in St Lucia. The Pitons are called the Gros Piton which is the larger of the two and the Petit Pitons the smaller one as the name suggests. The Pitons are resulted due to the eruption of the volcanoes some 200,00 thousand years ago or more. Did you know that you could climb the Pitons in St Lucia? If you are an outdoor type of person, this is a great challenge that you must undergo. I would suggest starting with the smaller of the two. These two beautiful volcanoes is a must see in St Lucia. Do not leave St Lucia without visiting the beautiful Diamond Botanical Gardens and Waterfall. This is a perfect romantic spot that deserves a trip to. The Diamond Botanical Gardens are located in the Soufriere Estate. The waterfall is known to take on the color of minerals that flow down. Don’t forget to take deep in the hot spring baths. This should take about 1 to 2 hours of your time and you will love every minute of it. Pigeon Island National parks should be your next stop when visiting St Lucia. This is the perfect spot to go hiking as well as learn more about the remains of Fort Rodney and its history. The Pigeon Island is very scenic and it allows for gorgeous photos. Don’t forget to visit the beaches and restaurants located at the Pigeon Island. Depending on when you go, the Island also hosts concert shows and festivals. Are you visiting St Lucia for its party scene? Then this is not to be missed. This is a full fun filled street party. Lots of friendly people all out to have a good time. The party typically starts at around 11pm and ends around 2-3am. Be sure to dress comfortably to fully enjoy the experience. This is the best time to meet and mingle with the friendly locals of St Lucia. It’s definitely one of the best attractions to see in St Lucia. Marigot Bay is definitely one of the most beautiful bays in St Lucia. Here you find yachts all along the shore. If you are a big yacht fan, you won’t be disappointed with Marigot Bay. The bay is located just south of the Capital city of St Lucia, Castries. Here you will also find bars, restaurants, and accommodations should you wish to stay close by. The bay offers both water and land activities guaranteed to make you want to stay longer. The Sulphur Springs is an active volcano-albeit that has been visited by famous people including Oprah. This volcano produces warm sulfuric vapor and it is known to have erupted some 200 years ago. It is considered to be a dormant volcano. Book a tour with friends and family and make visit down there. Right across from the springs, there is a natural pool where visitors can enjoy a mud bath. This pool has attracted thousands of people from around the world as it is known to detoxify the body helps heal sore joints, skin acne and much more. The capital of St Lucia is Castries and this market is located right in the hearts capital. It is situated on the east edge of the harbor and holds the title for the oldest operating market worldwide. Here you will find over 300 regular vendors and hundred more locals. You can purchase almost anything at the Castries Central market in St Lucia. It is a busy area and hence why the Arcade Annex was opened next to it. Here you can try local cuisines. Want to know what the most famous beach in St Lucia is? You guessed it. Sugar Beach is situated between the two Pitons guaranteed to give you the most spectacular views of the city. The Sugar Beach was a sugar plantation. The white sand at this beach is actually imported from abroad. This beach can be access through the Viceroy Resort. The Sugar Beach is a must see as one of the attractions to see in St Lucia. These gorgeous gardens are located on the East Coast of St Lucia. The Gardens is ranked number 4 among the Headwater’s Top Spring Gardens in 2011. It is an extremely popular venue for weddings. The historical gardens are set in 12 acres of woodlands offer a variety of gardens including the orchid gardens and the medicinal herb gardens. You have the ability to hike up to a viewpoint to see the Praslin Bay. You can not go to St Lucia without visiting Rodney Bay. This Bay is situated on the North coast of St Lucia just South of Pigeon Island. Why is this on the list of one of the most amazing attractions to see in St Lucia? Because you can climb abroad the brig Unicorn, which was used in the film “Pirates of the Caribbean.” This Bay is home to out of this world beaches, marinas which house many water sports and to die for restaurants. Have you visited St. Lucia? What did you do? Tell us in the comments below. Don’t forget to share this blog post! All natural sides look cool, but I would go straight to a party. Gros Islet Street Party sounds like fun. Somehow when I travel, I am more interested in people, then architecture or nature. Well I am glad we can help with your chilly Monday. Now it’s time to book your flight. Sunshine is waiting. Of course I have heard of Marigot Bay, and would love to see it in person. But, I would also really like to see Diamond Botanical Gardens and Waterfall and Mamiku Gardens. You’ve just got to love the amazing blue water of the Caribbean.